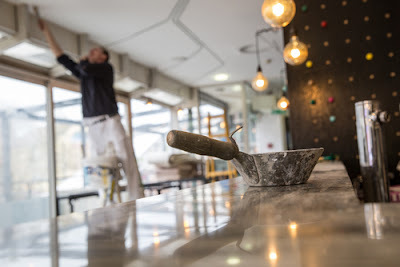 A renovation contractor is an expert with a broad range of responsibilities and duties, especially when it comes to building construction and renovation of business premises as well as residential houses. Well, an individual of the above caliber has a great job that entails hard work and an ultimate review of several processes which go hand-in-hand with renovations of structures and buildings. Needless to say, many of the building renovator’s job duties as well as responsibilities will be analyzed in the subsequent paragraphs. But to start with, who is a renovation contractor? A restoration contractor is a building expert who engages in the planning, coordinating, and developing ideas or activities which coincide with the renovation of a building or structures. In other words, this is an individual who oversees the renovation of a building and ensures that all the necessary steps and procedures are followed to the latter. 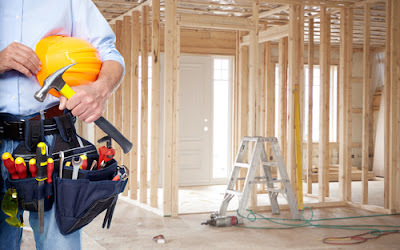 Before unveiling some of the duties, roles, and responsibilities of a repair contractor, it is quite to explain some other few things that you need to consider when looking for a good renovation contractor. In other words, what are some of the traits of a good renovation contractor? Now that you know some of the traits to consider when planning to hire a remodeling contractor. The next question is: what are the broad responsibilities of a building/structure renovation contractor? 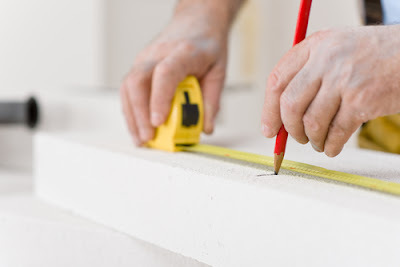 In general, the responsibilities of a repair contractor include planning and carrying out all appropriate activities related to the renovation of the building, dwelling, or any other structure. In most cases, the renovation contractor carries out his or her duties by being in charge of employees, planning how the renovation project will be conducted, and making sure that the project is completed in a manner that coincides with all the rules, laws, and regulations of Singapore. The first role of the above contractor is to implement the renovation plan. This duty extends a little bit far, from hiring workforces to developing a step-by-step timeframe that the renovation project will follow from the start to the end. Apart from implementing the renovation plan, a renovation contractor is responsible for obtaining all the necessary permits and licenses from the relevant entities and authorities so that the renovation project kicks-off. Generally, in Singapore, any contractor must be in possession of the relevant documents, certification, and licenses before starting any project. Matters related to budgeting is another essential item that falls into the hands of a renovation contractor. In fact, establishing the cost of the renovation, tools, and materials is the responsibility of the contractor. After drawing the budget, the contractor is supposed to follow that budget as closely as possible to ensure accountability is upheld. In other words, instituting and monitoring the budget is one of the pressing matters that every renovation contractor should be concerned so that the renovation project is completed as envisioned in the beginning. If the budget is adhered to as planned, it will allow the renovation contractor to hire workers, obtain supplies, and complete the renovation in a cost-effect manner. Procurement of renovation materials for the project is another pivotal role of a renovation contractor. Indeed, it is widely known that renovation projects cannot be executed and completed without the necessary tools and materials. Therefore, it is up to the contractor to ensure that building and renovation materials are available in time. In most cases, an excellent contractor selects a material supplier who delivers materials promptly and good condition. Another role of a renovation contractor is to carry out and extensive research in matters regarding relevant laws and regulations akin to the renovation process. Indeed, there are tens and hundreds of laws which state where, when, and how a renovator contractor and his/her crew should renovate a structure. As a matter of fact, these legislations and regulations must be recognized and followed to the latter to ensure that the project is completed in a law-abiding manner. Throughout the renovation process, the renovation contractor is liable for reviewing the process as well as implementing any changes that come along the way. Indeed, the renovation contractor has to follow the particular renovation project closely, and if they are any changes that deemed to be effected, then it is the role of that contractor to do so. Lastly, the renovation contractor is the responsible person who deals with issues related to emergencies and surprises. If an accident occurs at the repair site, then the contractor is one who offers directions and guidance. To ensure that renovation work is handled safely, the renovator contractor conducts series of safety lessons to all employees. These lessons are vital as it allows the workforce to carry out their duties adhering to safety rules and regulations. The list of some of the roles and responsibilities of a renovation contractor is just endless, but those mentioned above are just but a few. Renovation contractors are experts with multi-faceted and demanding roles and responsibilities. Those renovation contractors who are steadfast, seek quick resolutions, and steadfast are the ones who are more likely to prosper in their occupation.